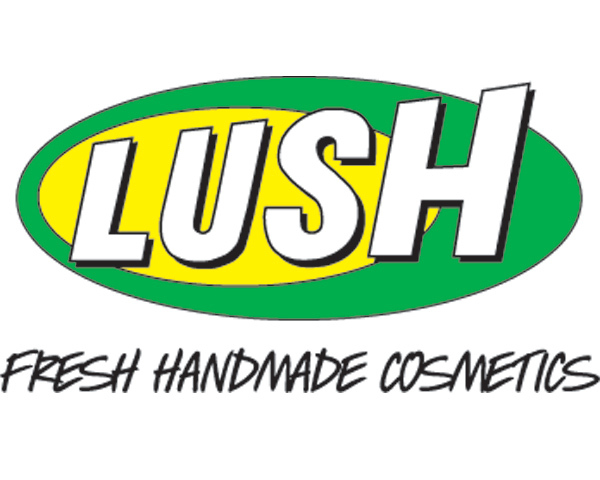 Magic on Main Street: Are LUSH Cosmetics Natural? I've been a big fan of LUSH quite sometime. Being in upstate NY, the nearest store is several hours away, consequently getting to shop in one of their stores is a treat, and many of my friends and family purchase me LUSH products as gifts. As with every other company, LUSH has managed to phase out and discontinue all of my favorite products/soaps (Mud Flats, Gratuitous Violets, etc). Recently I've been hearing some anti-LUSH chatter, people saying, "Oh LUSH use to be natural, but now a days they just as bad for you as anyone else." I'm hearing all about moisturizers with parabens and such in them. Not really what I would expect from a company with a reputation like LUSH's, whose tag line is "Fresh Handmade Cosmetics." Of course, "fresh handmade" doesn't mean "natural." Neither does"eco friendly," "vegetarian," or even "vegan." So, as I sit here looking at the chunks of Figs and Leaves that Tony got me for Christmas and a LUSH gift card from my little sister, I'm wondering how valid the criticisms against LUSH really are. Hm. I guess 65% is the majority, but it's not really all that great of a number. I mean, if you got a 65 on a test, you'd still be failing the class. Exactly what synthetic ingredients and preservatives are being used and in what products? LUSH's website offers a definition of the term "propylparaben," which is listed as an ingredient in 51 LUSH products, including most, if not all, their liquid shampoos and their facial moisturizers. Parabens are some of the oldest cosmetic preservatives and have been used since the 1920s. They are used globally and are permitted by every world health authority (500 independent safety studies have been carried out over the decades). Propylparaben is used to control the growth of bacteria, yeasts and moulds. (Just like methylparaben.) We use less than half the maximum permitted level to ensure the product is as mild as possible and the skin’s natural microflora is not affected. This low level of use also helps with the bio-degradability of our product and any waste material created during manufacture. We formulate our products without preservatives wherever possible. 71% of Lush products are unpreserved. Our products are really fresh, and we even tell you when we made them. They arrive in our shops within a few days; for some products, they arrive in 24 hours. Conventional cosmetic shelf life is around 30 months. Our products can have shelf lives as little as three weeks, but are usually around 14 months. Well, from the way LUSH puts it, parabens sound pretty safe. They sound traditional and natural. Surely a product that's been used for almost a hundred years is safe? And people also use to think it was safe to powder their faces with lead powder, so maybe not...further investigation is required! There has been some concern over the years about the relationship between parabens and cancer, particularly breast cancer. 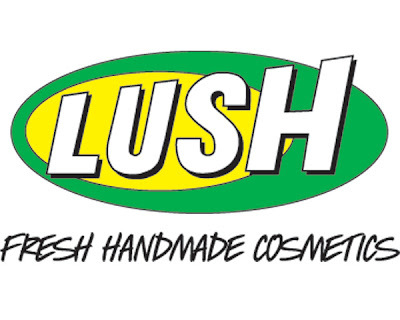 In 2007, Sarah from M00se wrote LUSH asking them to clarify their use of parabens, as she was under going treatment for breast cancer and had "been told to avoid parabens of all kinds (ethyl-methyl-butyl-propyl parabens) as some research indicates that when absorbed into the body it can mimic the female hormone oestrogen." ...Most manufacturers today will use 4 or 5 different preservatives in each product. As you may know, we only will use one or two in our products. We do not want to use them but there are occasions when for practical reasons we want to use a type of formulation for it’s benefits along with the ingredients that are effective and customers need to product to last so we have to preserve. In these instances, we use methyl and propyl parabens because they have a long record of safe use and are the mildest available. A study published in 2004 (Darbre, in the Journal of Applied Toxicology) detected parabens in breast tumors. The study also discussed this information in the context of weak estrogen-like properties of parabens and the influence of estrogen on breast cancer. However, the study left several questions unanswered. For example, the study did not show that parabens cause cancer, or that they are harmful in any way, and the study did not look at possible paraben levels in normal tissue. Although parabens can act similarly to estrogen, they have been shown to have much less estrogenic activity than the body’s naturally occurring estrogen. A 1998 study that was published in the Journal of Toxicology and Applied Pharmacology found that the most potent paraben tested in the study butylparaben, showed from 10,000- to 100,000-fold less activity than naturally occurring estradiol (a form of estrogen). This information combined with the knowledge of what a small amount of parabens that we use in our products stands to reason that there is little cause for concern. We as the manufacturers are responsible for making safe products and if we have any doubts will drop an ingredient or a product. In this particular case we do not have any plans to stop using methyl and propyl parabens if we need to preserve a product although we will as always try not to preserve a product in the first place. LUSH openly uses parabens, which are apparently the most mild of preservatives and as a company trying to make money, their products need to last more than a couple weeks, especially if they are being stored at room temperatures. However, majority of their solid products - like all their solid soaps and shampoos, do not contain preservatives, including parabens. What's left of my LUSH Christmas gifts. SUMMARY (in case you're too lazy to read all of this): LUSH is a company that makes handmade cosmetics and bath and body products. Recently they've been criticized for using parabens. Although there has not been conclusive proof, there is a suggested relationship between certain cancers, especially breast cancer, and parabens. LUSH acknowledges this, but believes that the small amounts of preservatives that they use, along with the inconclusive evidence, means their products are more than likely safe. Conclusion: So LUSH products do not seem to be any more harmful than another others that you may pick up in a store, assuming you're not at the Green Grocer. Some products do contain certain preservatives, likely many being more mild than the average moisturizer. However, there is the potential for a link between parabens and breast cancer, so if you are being treated for breast cancer or believe yourself to be predisposed towards it, you may want to avoid LUSH (and other) products that contain parabens. As Sara pointed out, if we're going to go through the effort to purchase organic foods, why would we ignore potentially hazardous ingredients that we rub into our skin? There are many all natural, organic and preservative free moisturizers available on sites like Etsy. And if you're like me, and love your Figs and Leaves soaps and are wondering what to spend your gift cards on, consider yourself safe with most, if not all of their solid products. In the interest of full disclosure, LUSH does list ALL of their ingredients (except for proprietary scent blends) on their website, for easy shopping. i love the fact that Lush's solid products are paraben free. that makes me so happy! also, i DO appreciate that they are willing to list the fact that they use parabens in some products on their labels. i wasn't sure i believed my local sales girl when she told me that amount they used was so small, that legally they were not required to list it. i did some research and that seems to be the case, as far as i can tell. Congratulations! This is the best thing, Thank you so much for taking the time to share such a nice information. I know this is a year late but I was just doing research on Lush. Thank you for this post. Lush has gone down hill as they have grown. I am no longer a fan with the use of unsafe chemicals they put into the product. Every soap they have but one is natural. And soap is something you can definitely make pure. You can only find a handful of all natural products now. I just got off with the phone with a representative and I am disgusted with the wording they use to "cover up" the truth. Way to go Lush for being another fast growing money hungry corporate company.